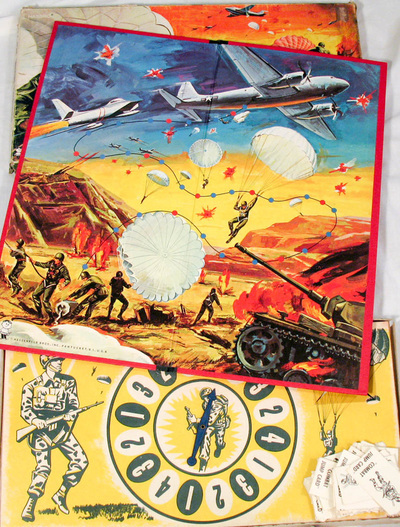 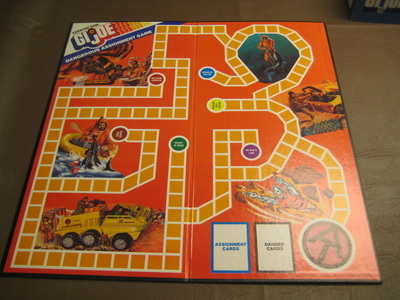 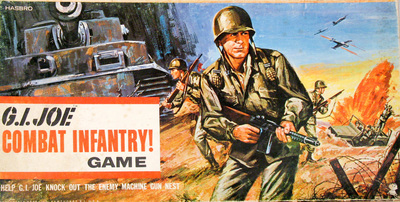 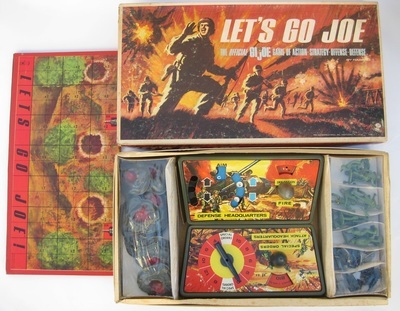 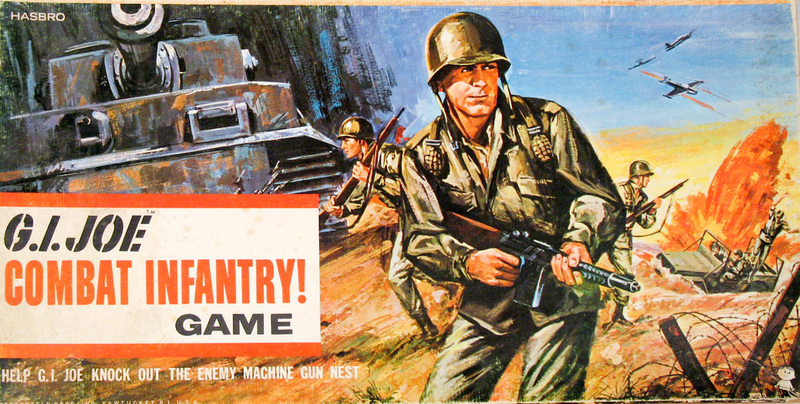 Board games are a staple of rainy-day play, and Hasbro had been making them before the days of GI Joe, so it was an natural to sell Joe-themed games. 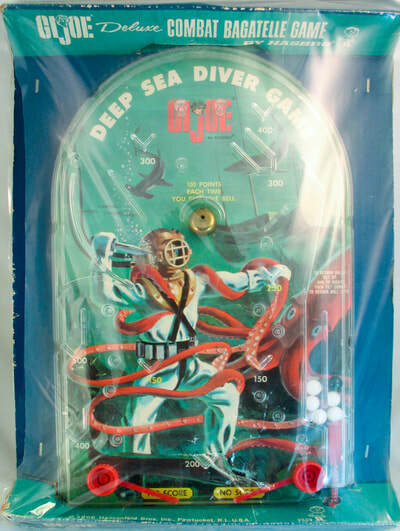 These came in several varieties. 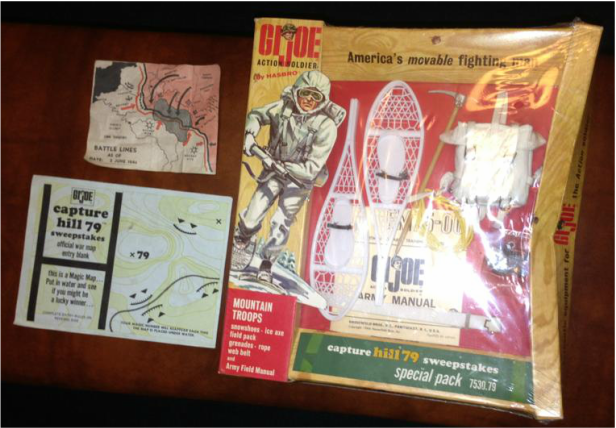 If you have an example not shown below that you would like to share, please contact me! 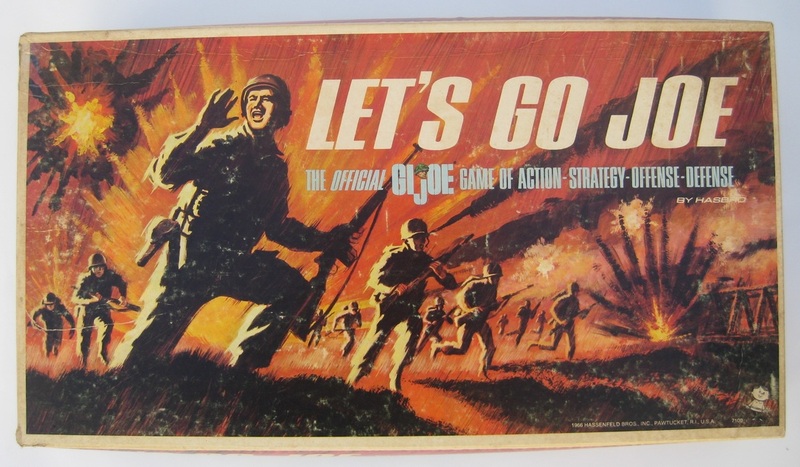 For my money, the art on the boxes of the first three board games is some of the most compelling GI Joe imagery. 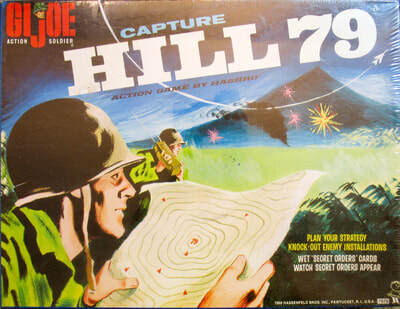 They were followed by the more complex "Let's Go Joe" game, then 1967's Capture Hill 79. This last game was the center of one of the toy industry's biggest promotions to that date. 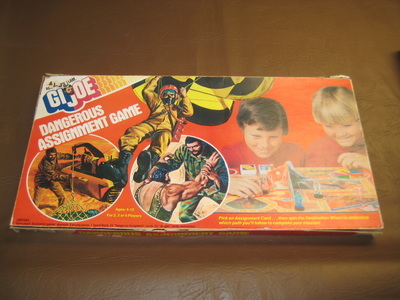 Dangerous Assignment was the only Adventure Team Game and is super rare. 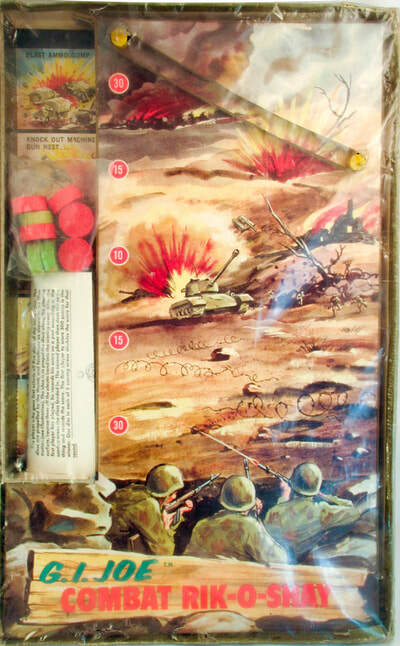 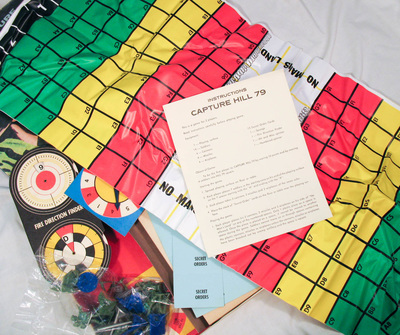 Above, an example of a Capture Hill 79 promotion pack, along with a magic map from the store display. The back of the window box has a Ski Patrol Helmet card cellophaned to it. 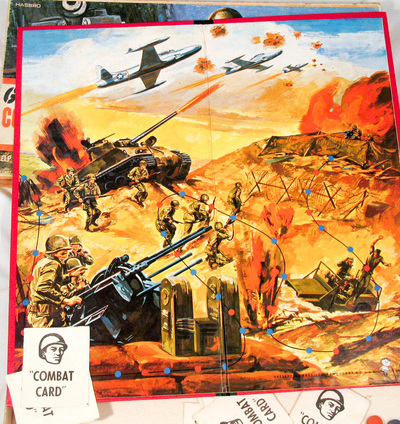 These combined packages were sold in store displays promoting the sweepstakes. 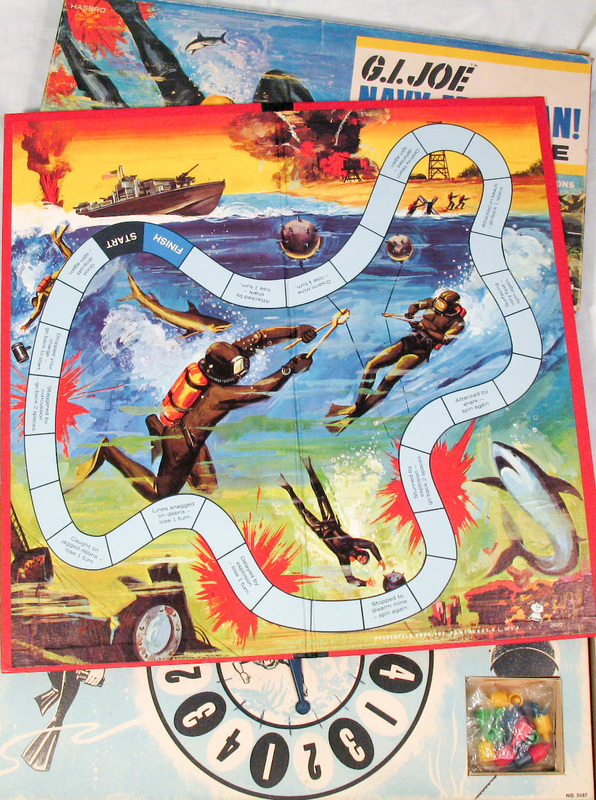 When dipped in water the map revealed a secret code that would tell you if you were a winner. The map top left is likely from another toy line. Image courtesy Joezeta. Below, the TV commercial for Capture Hill 79, posted on Youtube by Benjy Greenberg, one of the kids in it. 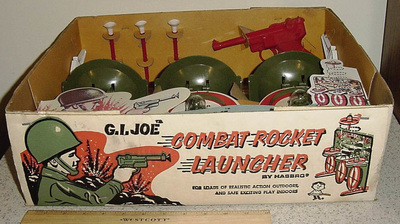 Check out all the great Backyard Patrol gear worn by the kids! 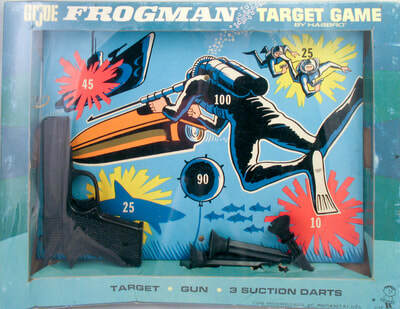 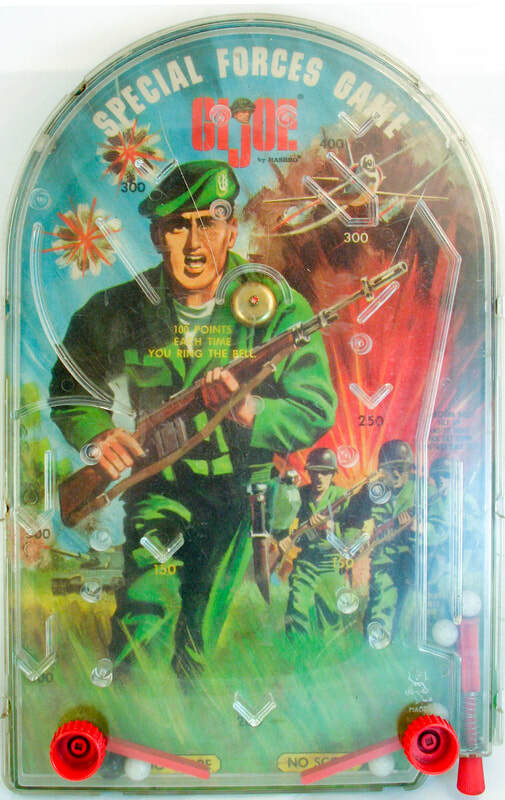 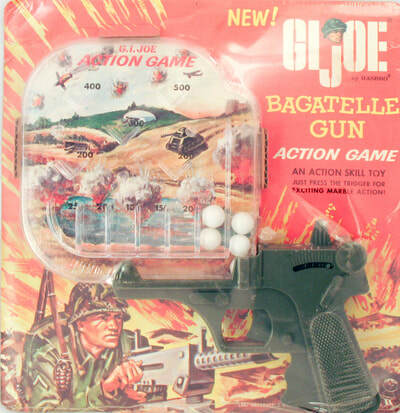 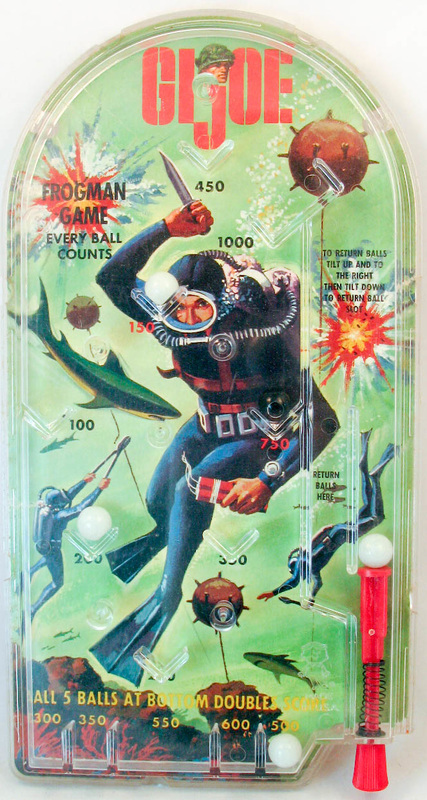 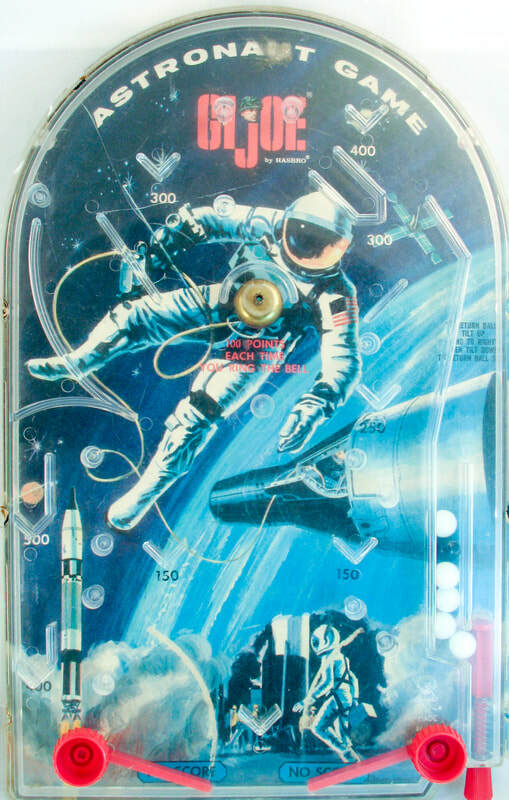 Bagatelle or pinball games were a popular tie-in. 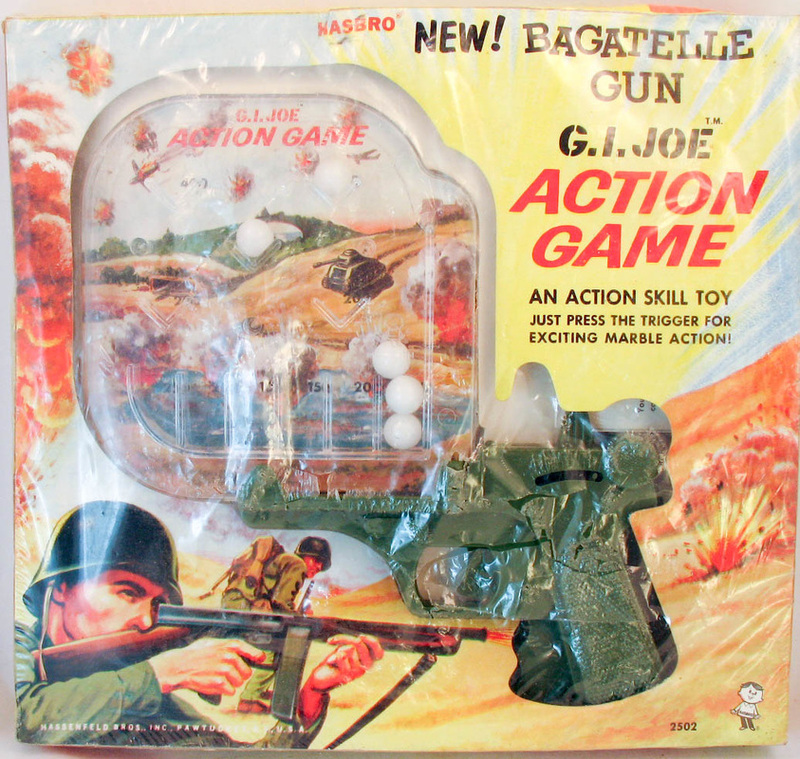 Hasbro released them in larger and smaller sizes, and also put out an interesting version with a pistol grip. 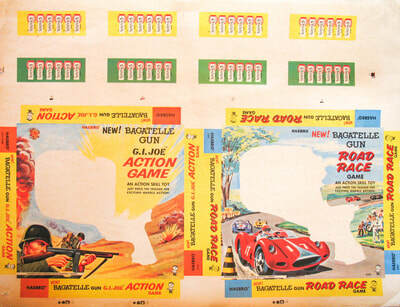 There are at least three large versions, shown below courtesy of Chris Short. In today's world of soft foam tip Nerf guns, it's hard to imaging the dart guns of our youth: robust, spring loaded, and ready to shoot your eye out. 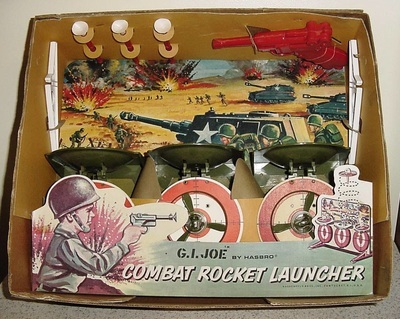 Those were the days! 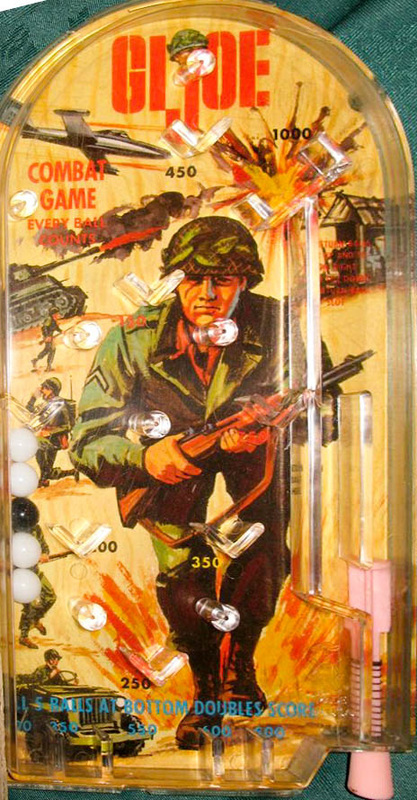 The Rik-O-Shay game uses a rubber band as a bumper to create a super cheap GI Joe carom board. 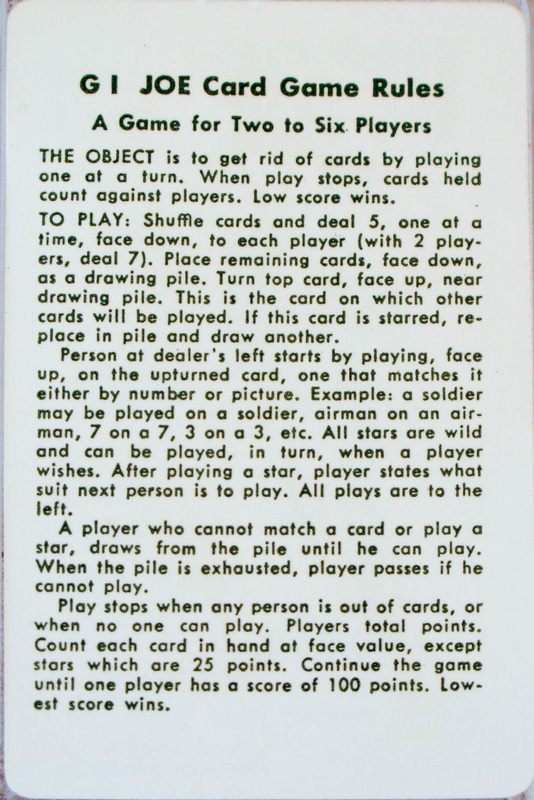 I am unaware of other sealed examples. 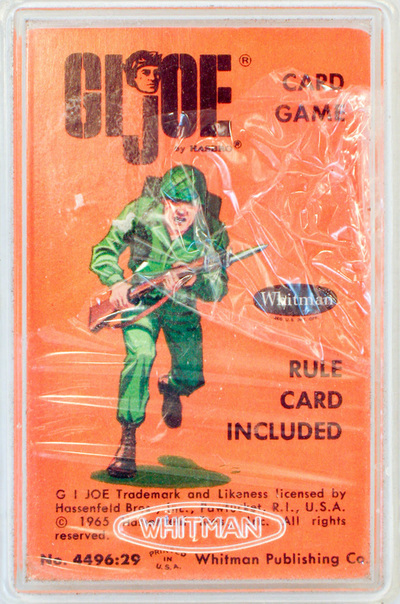 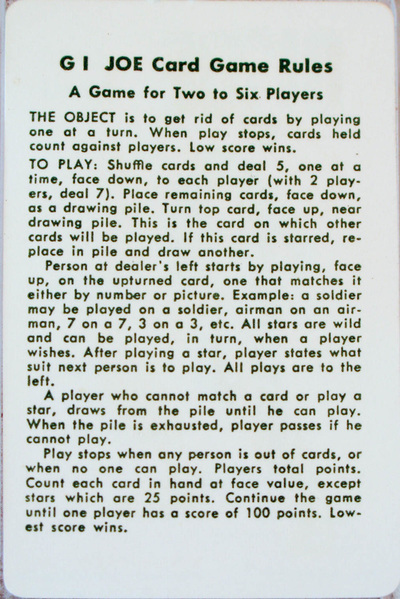 The simplest of the GI Joe games was an 'Uno' style card game by Whitman, who also made a number of GI Joe coloring & activity books. 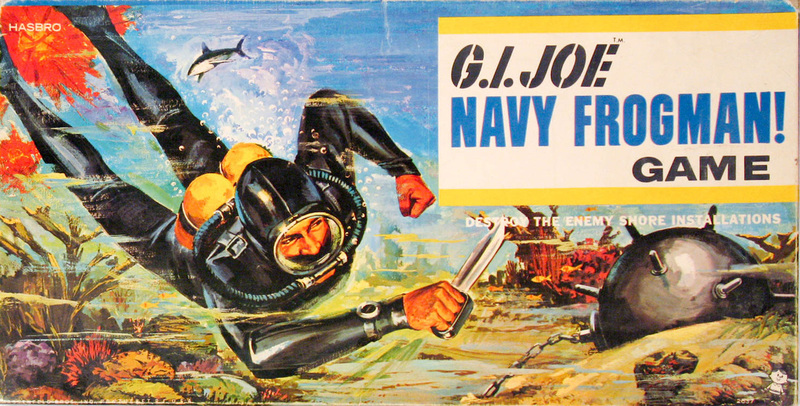 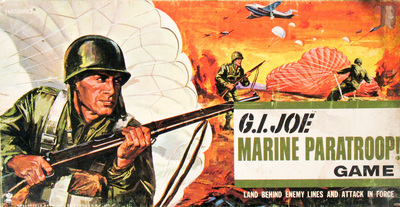 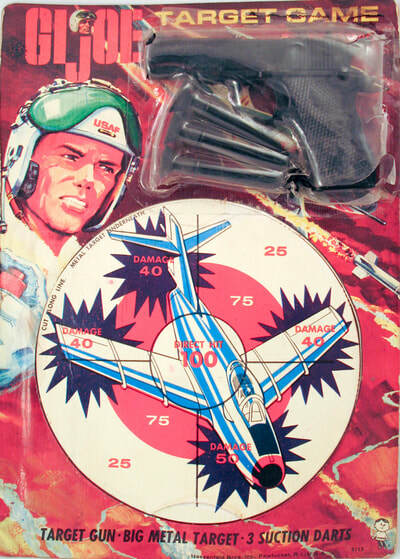 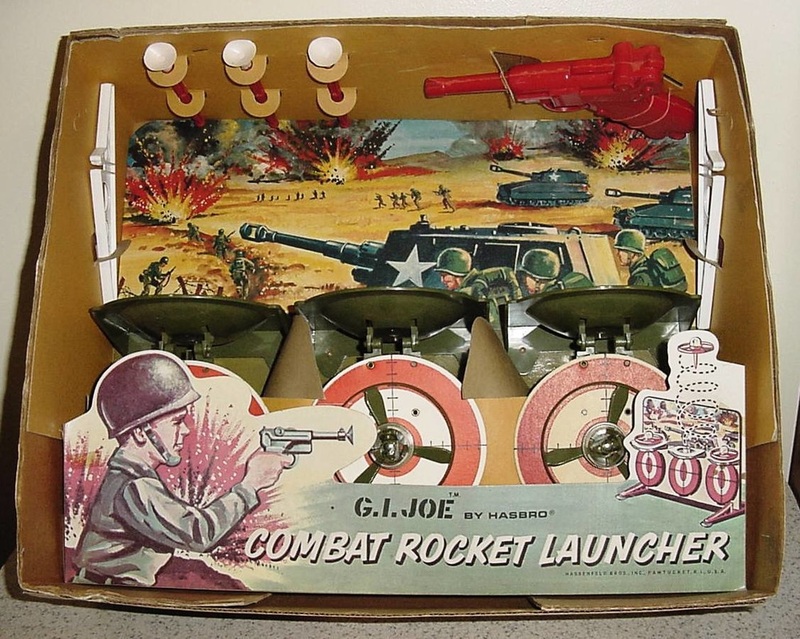 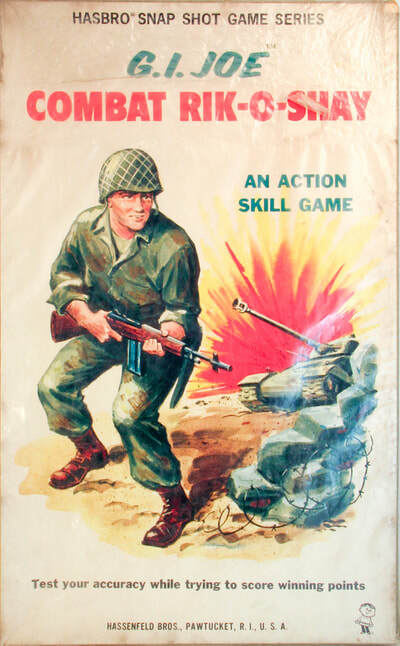 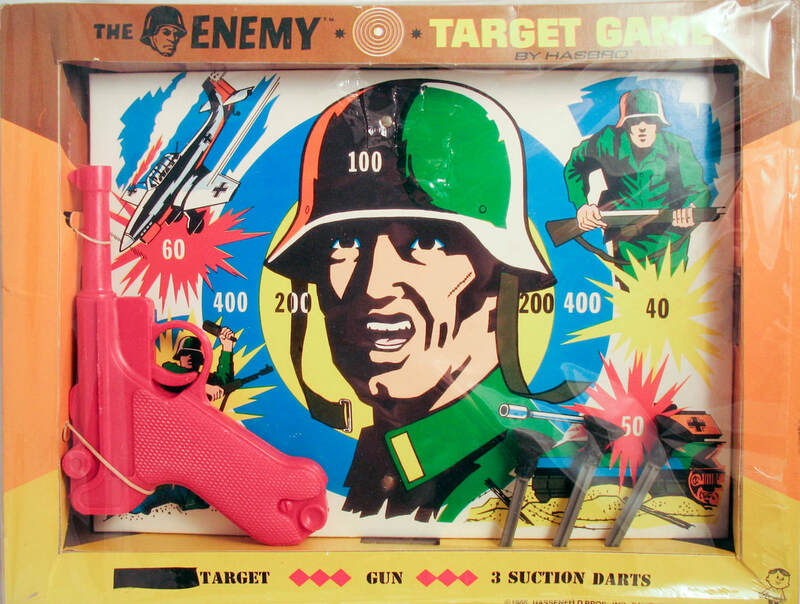 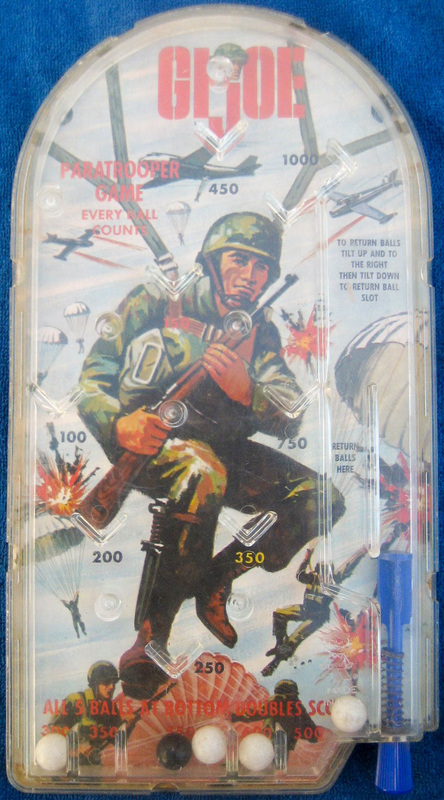 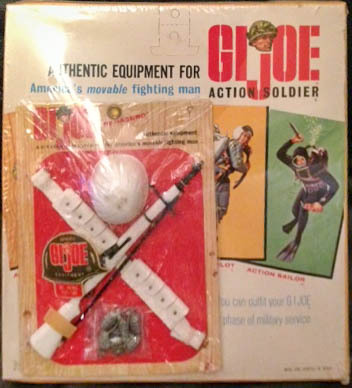 In the 1950s before Hasbro launched the action figure, Unique Art used the brand G.I. 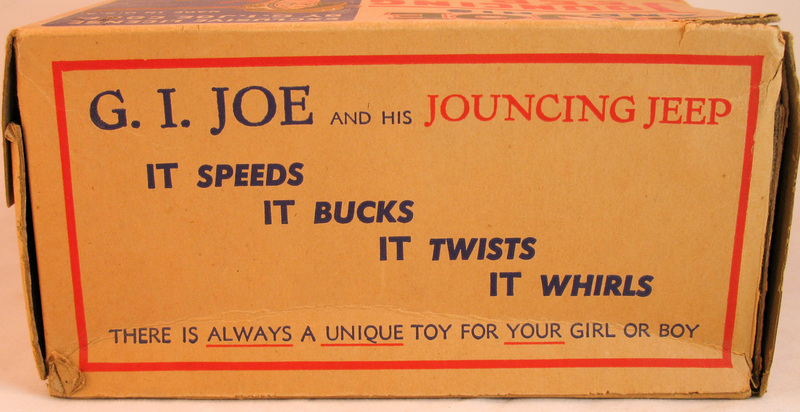 Joe for a number of toys, including the Jouncing Jeep windup toy shown here. 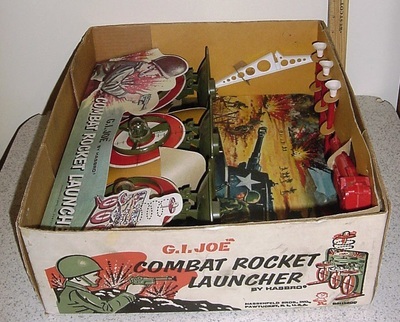 Other items include 'GI Joe and his K-9Pups,' and a tin litho machine gun.